Motorists sometimes get aggravated by bicyclists (and vice versa), but apparently some crazies in Colorado are taking it to a new and dangerous level. A friend of mine who lives in Colorado sent me an article about planned "civil disobedience" against an upcoming century ride through the mountains. These psychos plan to see to it that their vehicles "break down" (wink, wink) along the winding path to be followed by the century riders. This, I suppose, will cause the bicyclists to . . . what? Stop? Crash? Die? Whatever group is responsible for this has distributed fliers around the area encouraging participation. See the flier here. Careless drivers are scary enough for bikers. Motorists who harbor hatred against people on bikes is terrifying. Anyone who either carelessly (oops, sorry wasn't paying attention) or recklessly (screw you, the road is all mine) causes injury to a biker should be held accountable. The best way to insure that this happens to to have a witness. Bike with someone. When you don't, consider a helmet cam. 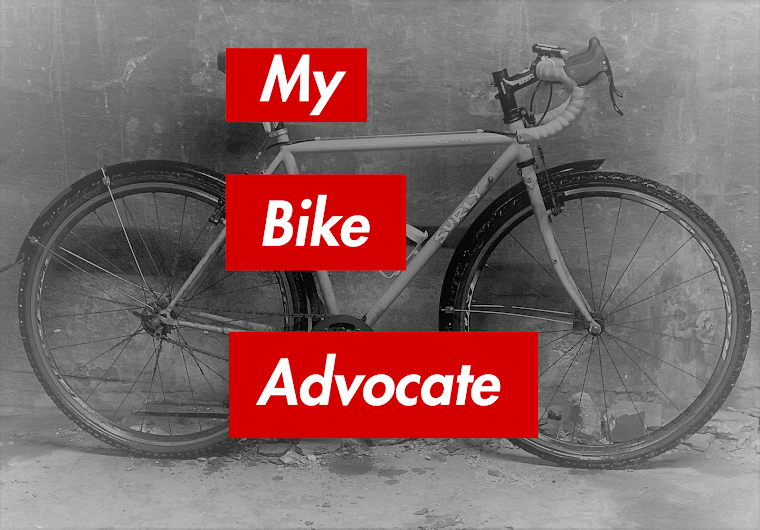 Sounds funny, but I came across this idea reading the weblog of the Bicycle Coalition of Greater Philadelphia. With a tiny video camera attached to the top of your helmet, or the front of your bike, you can record a dangerous motorist and maybe even get his or her license plate number. If a serious collision occurs, the video evidence could prove a very helpful resource for your attorney to prove your case. Speaking of rules of the road, anyone who has ever attempted to ride their bicycle along Chicago's lake front during the summer months knows that anarchy reigns there. Here's a link to a very entertaining catalog of lake front incidents, accidents and pure stupidity from Chicago Magazine. Let's be frank, many of us who frequently ride our bicycles in the city tend to follow few set rules. It's not because urban cyclists are a bunch of arrogant jerks (although there are surely some within our ranks); it's just that the reality of the constantly changing landscape through which we travel requires constant innovation. Cars, pedestrians and the streets themselves are unpredictable, so we dart, dash, swerve, squeeze and skid about the city because we have to (and because it's fun). The rhythm of the city and the traffic that pulses through it often has little to do with the rules of the road. Nevertheless, it is prudent to understand what the law requires of us as urban cyclists. When a collision occurs, you may need to look to the law for help. 3. When reasonably necessary to avoid conditions including, but not limited to, fixed or moving objects, parked or moving vehicles, bicycles, motorized pedal cycles, pedestrians, animals, surface hazards, or substandard width lanes that make it unsafe to continue along the right-hand curb or edge. For purposes of this subsection, a "substandard width lane" means a lane that is too narrow for a bicycle or motorized pedal cycle and a vehicle to travel safely side by side within the lane. 4. When approaching a place where a right turn is authorized. (b) Any person operating a bicycle or motorized pedal cycle upon a one-way highway with two or more marked traffic lanes may ride as near the left-hand curb or edge or such roadway as practicable. If you are riding at about the same speed as traffic, as is sometimes the case in a congested urban setting, then you may ride within a lane as if you where riding a motorized vehicle. You always have the same rights, and also the same duties, as a driver of a motor vehicle. 625 ILCS 5/11-1502. If cars and trucks are moving much faster than you are then you must travel "as close as practicable" to the right side of the road. You may pass a slower bicyclist. You may leave the right side of the road to make a left turn, assuming of course that it's safe to do so. You may also leave the right side of the road to avoid hitting stuff like swinging doors, little dogs on leashes, pedestrians on cell phones, giant potholes and the like. Do not feel like you must force yourself to ride in the gutter. It is often not safe to do so, and the law does not require it. Remember, we are traffic.